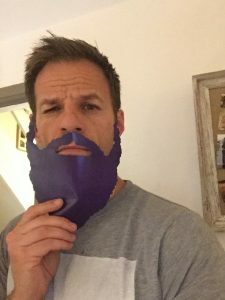 50-year-old Richard Lupton has taken part in Decembeard in previous years and knows how devastating bowel cancer can be. “I was diagnosed with stage 3 bowel cancer after experiencing a change in my bowel habit. 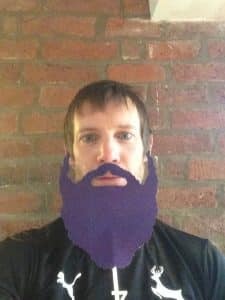 A few weeks later I had major surgery followed by six months of chemotherapy, and was told that I had a 99 per cent chance of a secondary cancer. However that proved to be 100% wrong and now I’m a cancer survivor but there are many people who don’t have my good fortune. So that is why I decided to take part in Decembeard and would thoroughly recommend it. Bowel cancer is the fourth most common cancer in the UK and the second biggest cancer killer, affecting both men and women. Every 15 minutes in the UK someone is diagnosed with bowel cancer. That’s over 41,000 people every year.